Heat-Timer Mini-Mod — Brownlie Design, Inc. 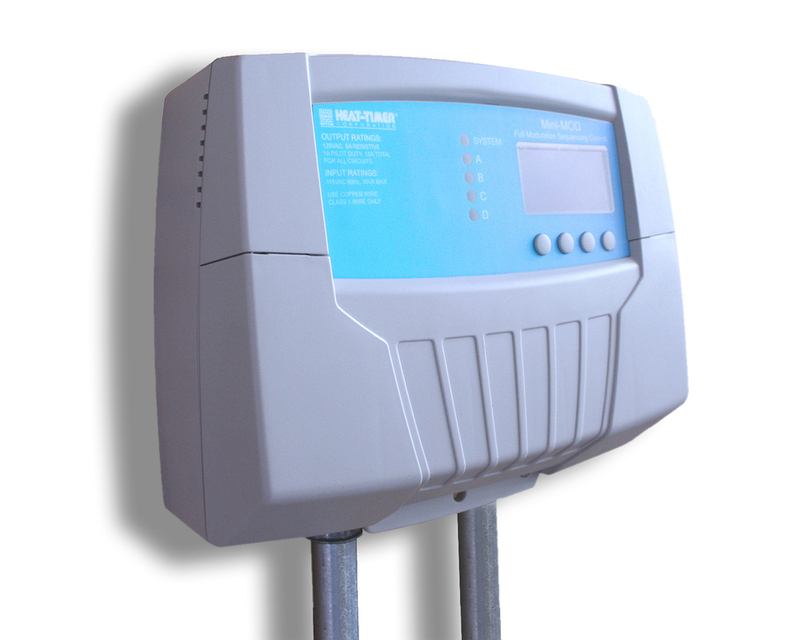 The Mini-MOD controls modulating boilers in commercial hydronic heating systems. Brownlie Design worked with Heat-Timer to identify improvement possibilities for their current Mini-MOD enclosure. The new unit simplifies assembly and reduces the complexity of in-field servicing. The three piece design isolates high and low voltage wiring and uses terminal plugs for both wiring systems. Brownlie Design considered UL testing requirements when making design and materials recommendations. The form was developed to place the display at a proper, ergonomic viewing angle and to convey a distinctive, high-end durable appearance.